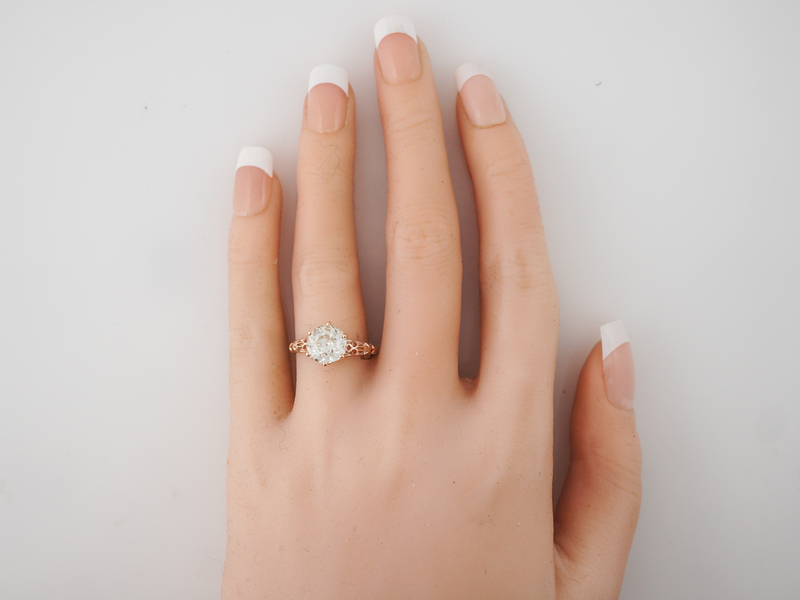 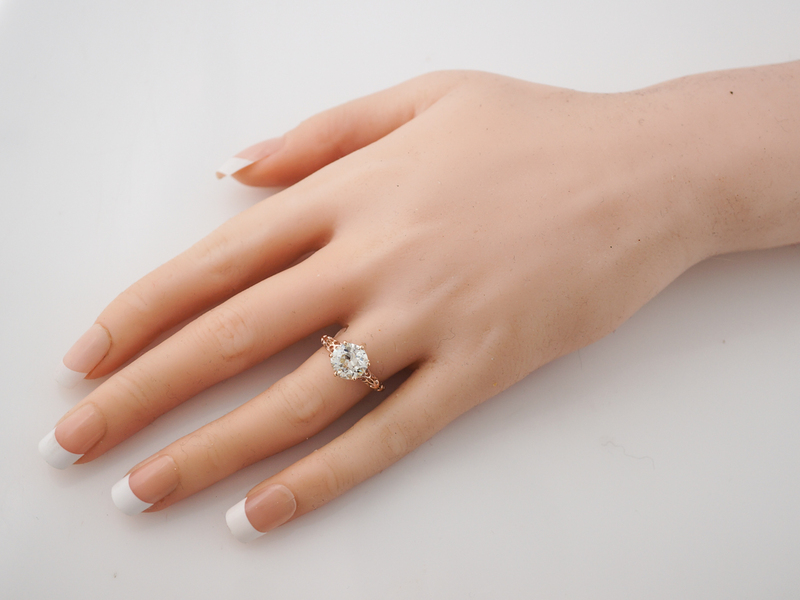 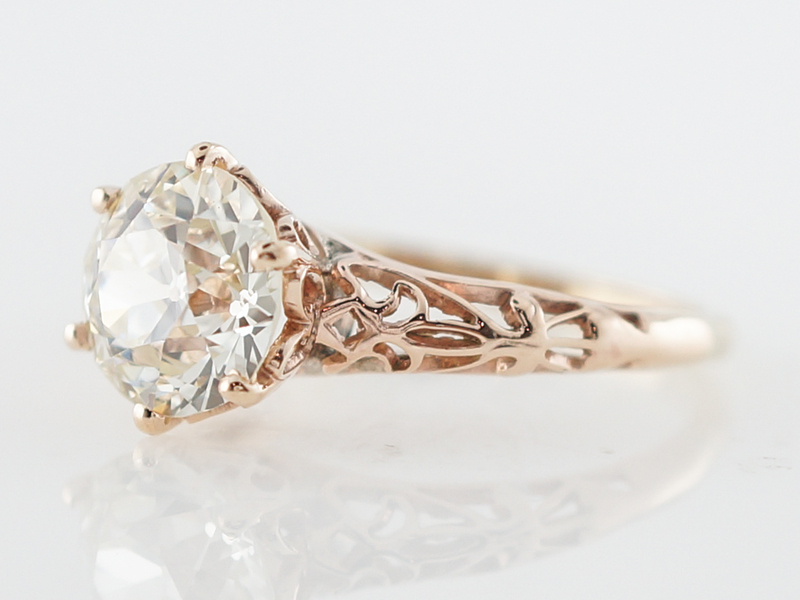 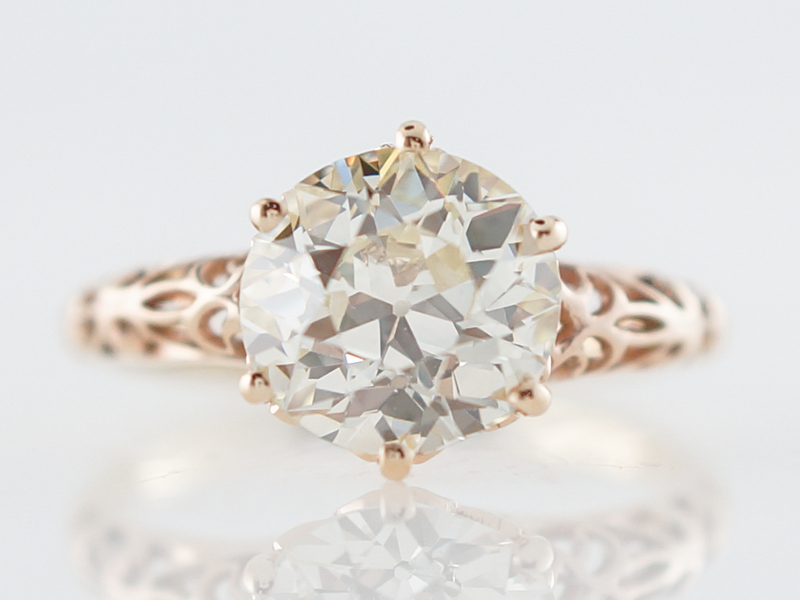 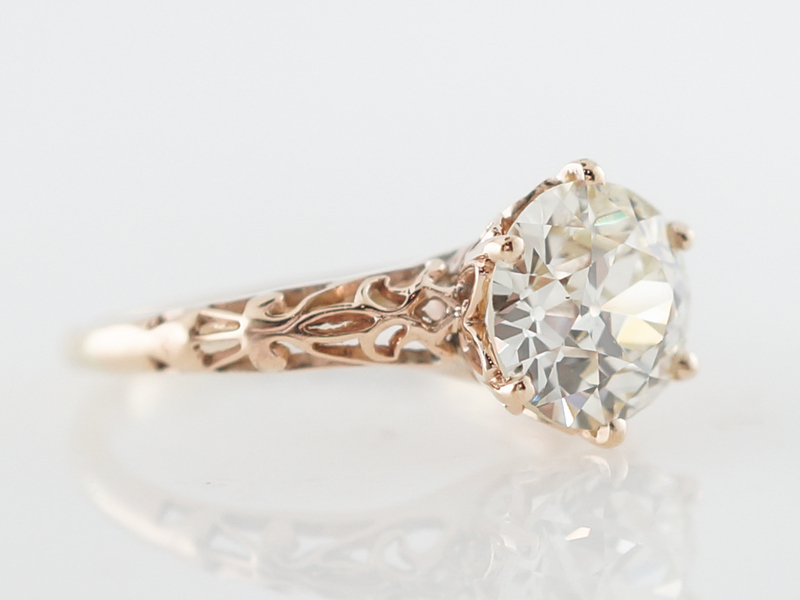 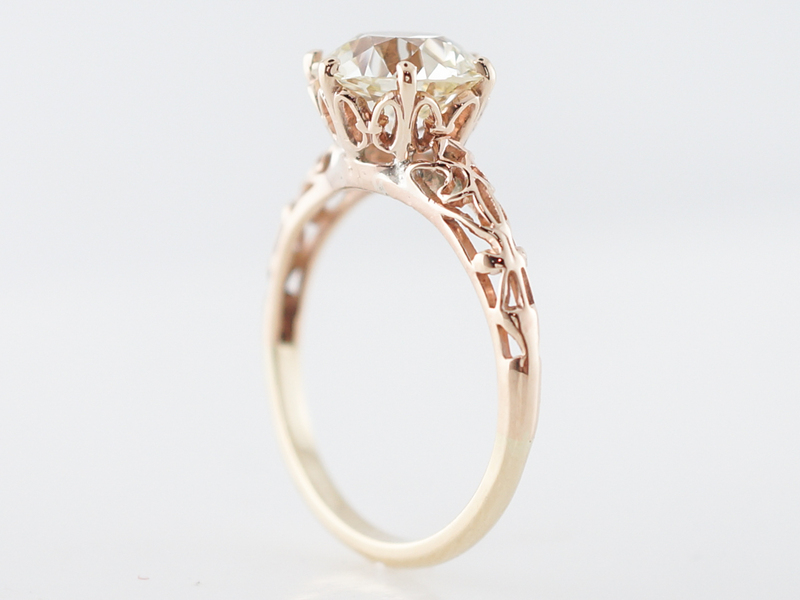 This incredible vintage engagement ring is a rare surviving example of rose gold from the period. 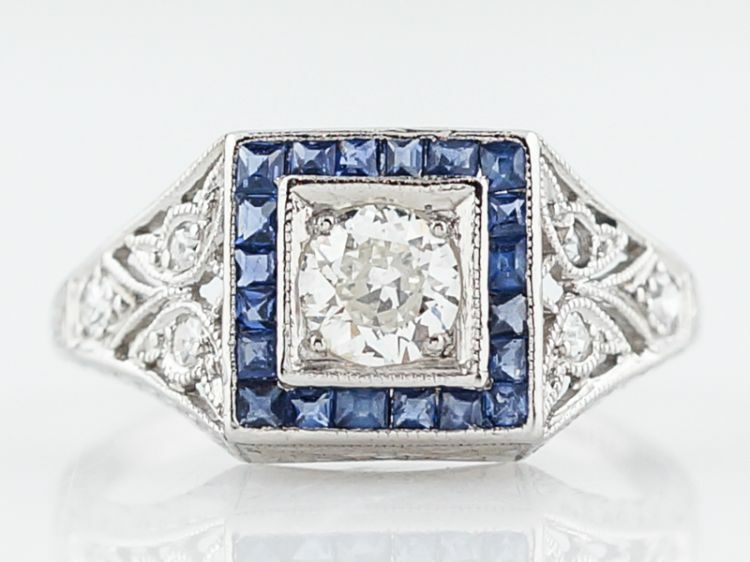 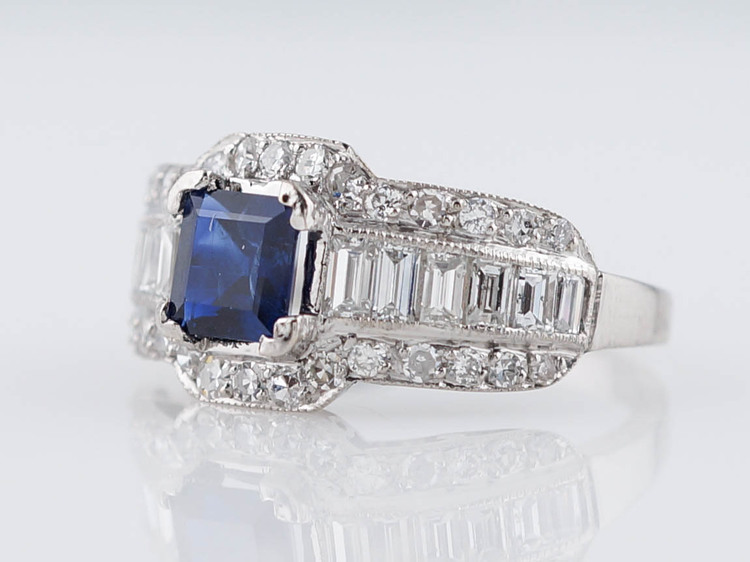 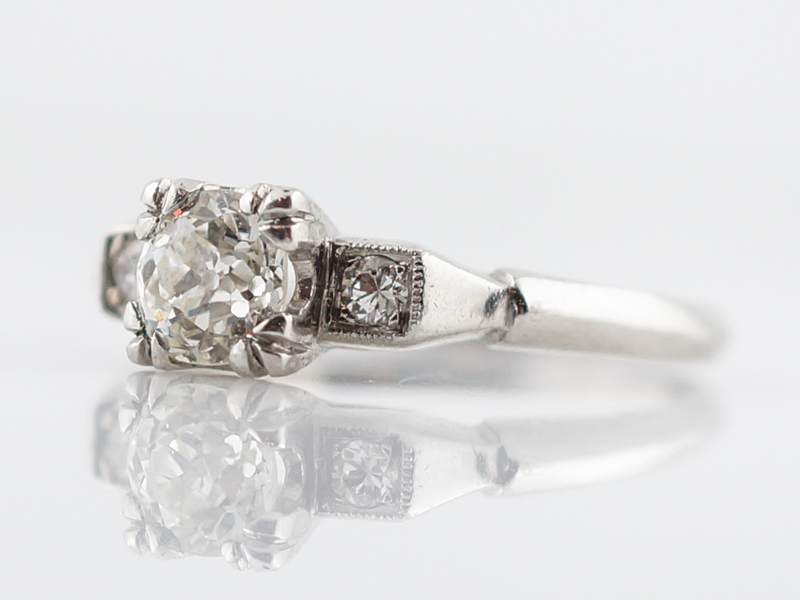 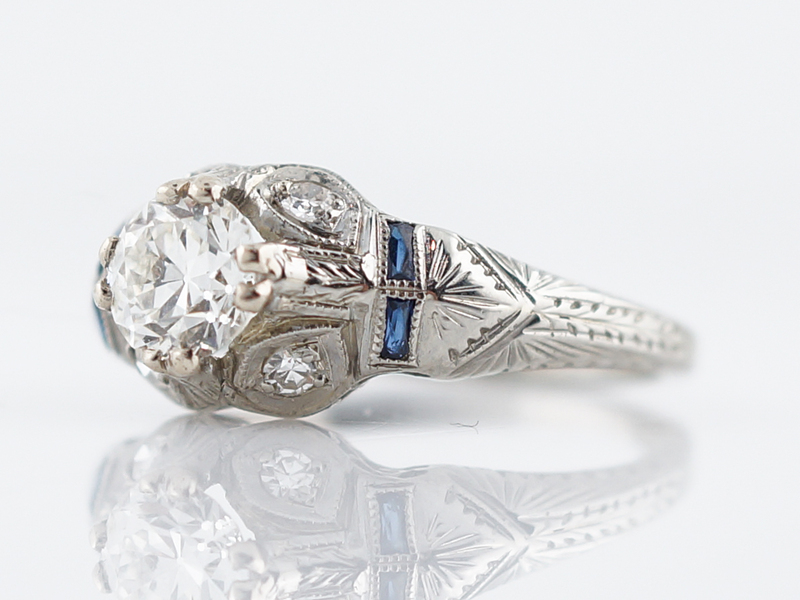 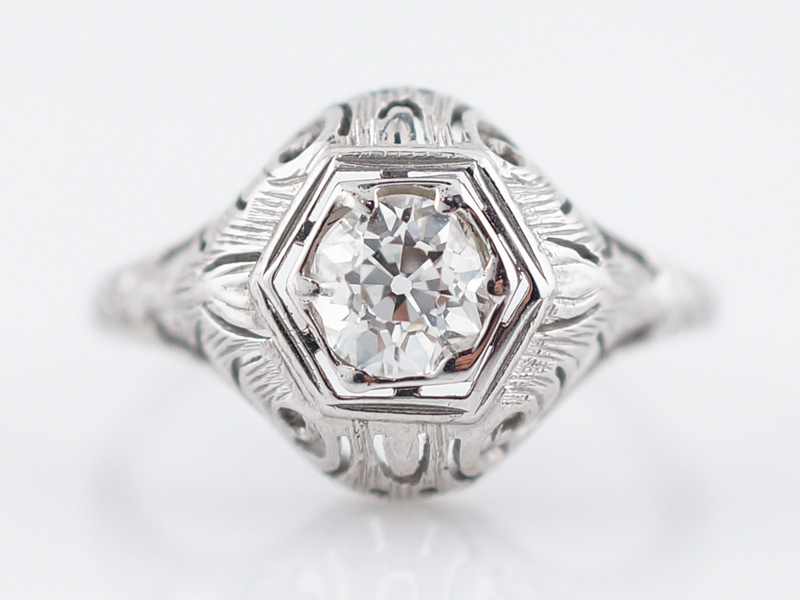 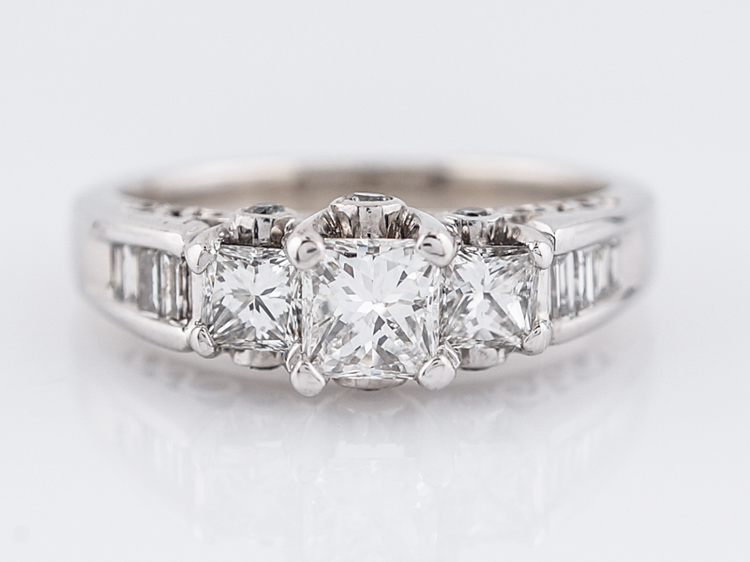 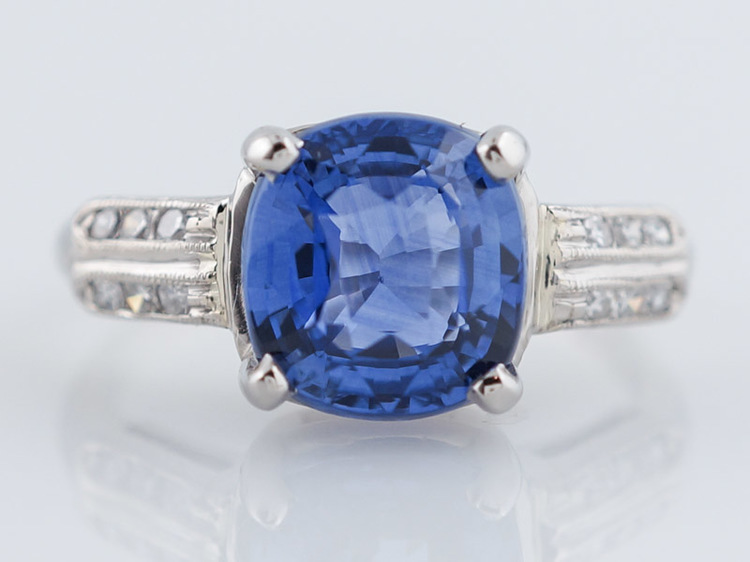 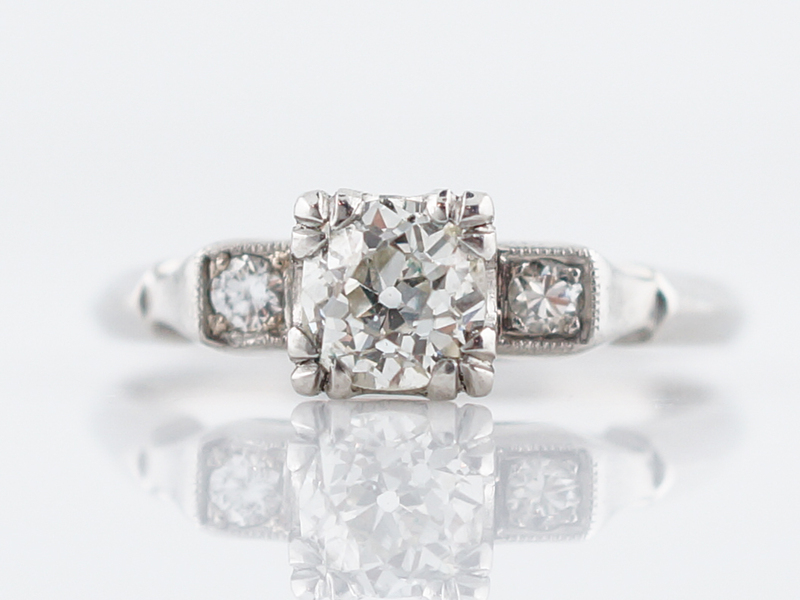 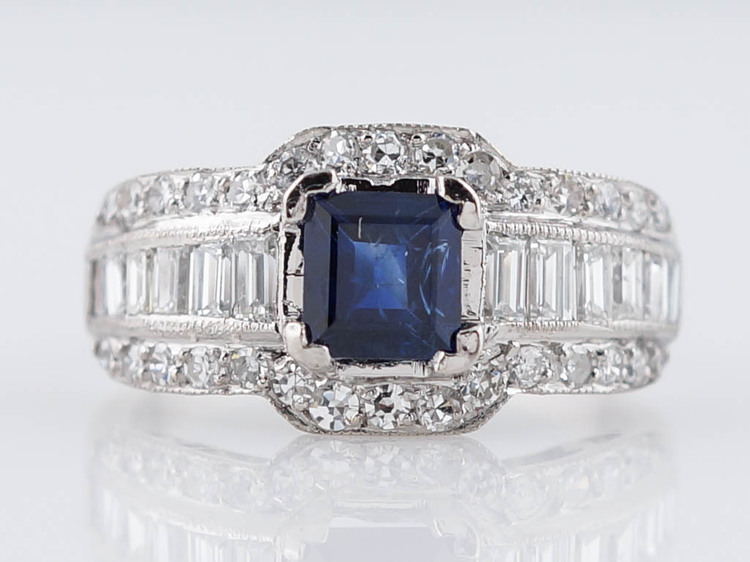 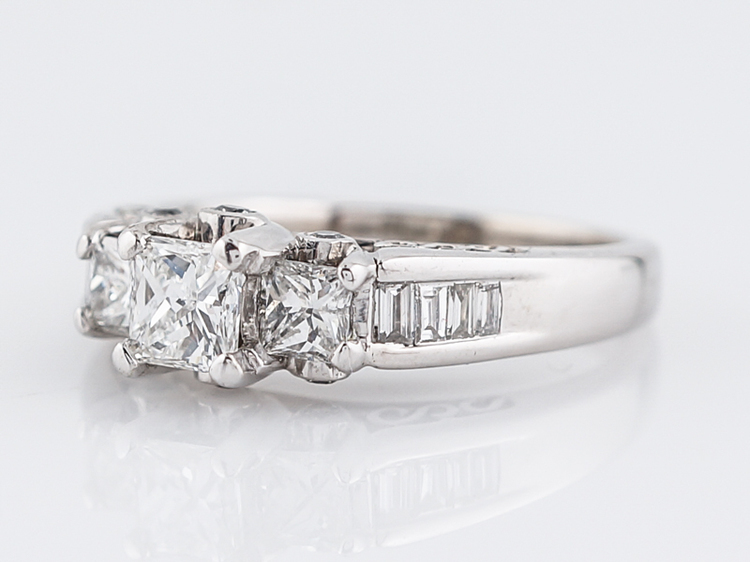 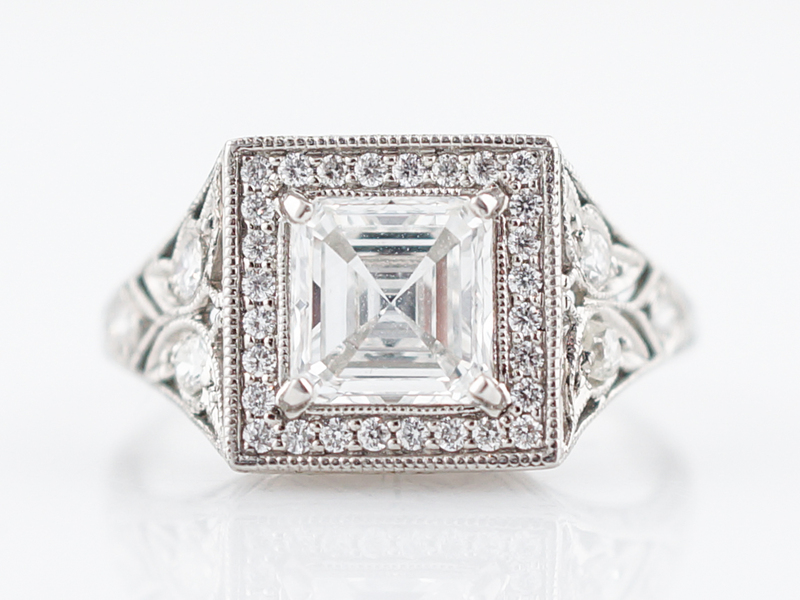 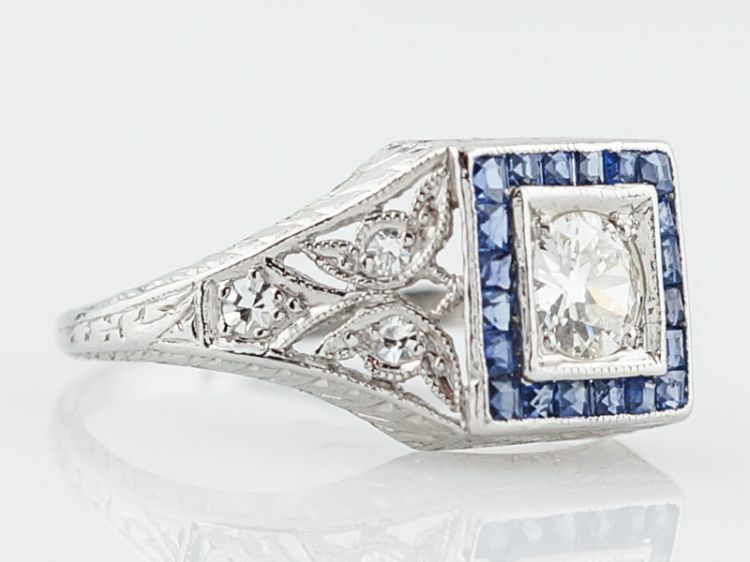 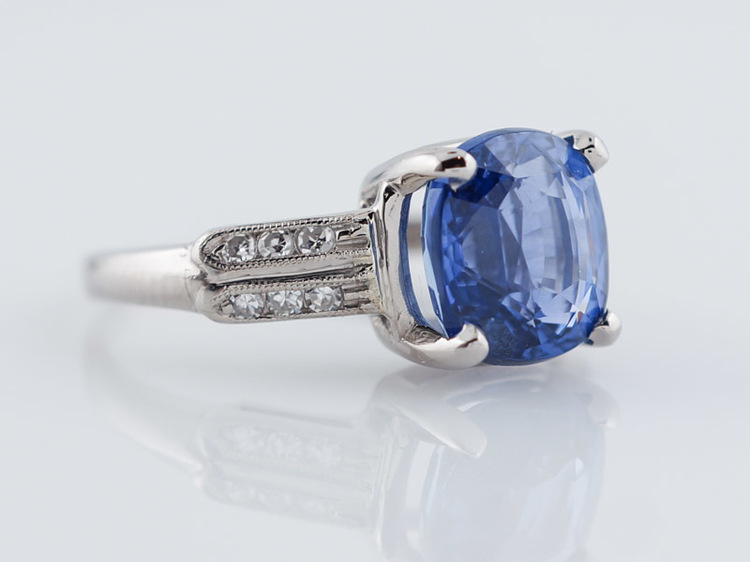 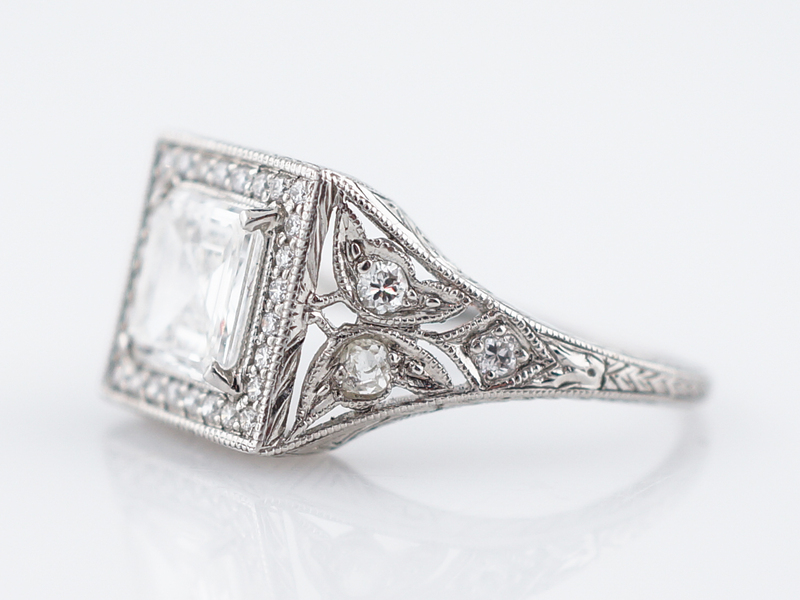 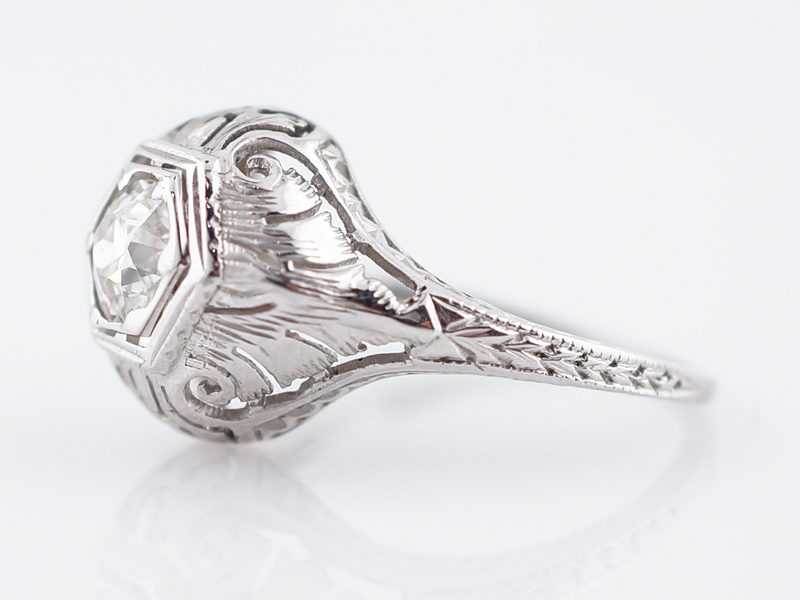 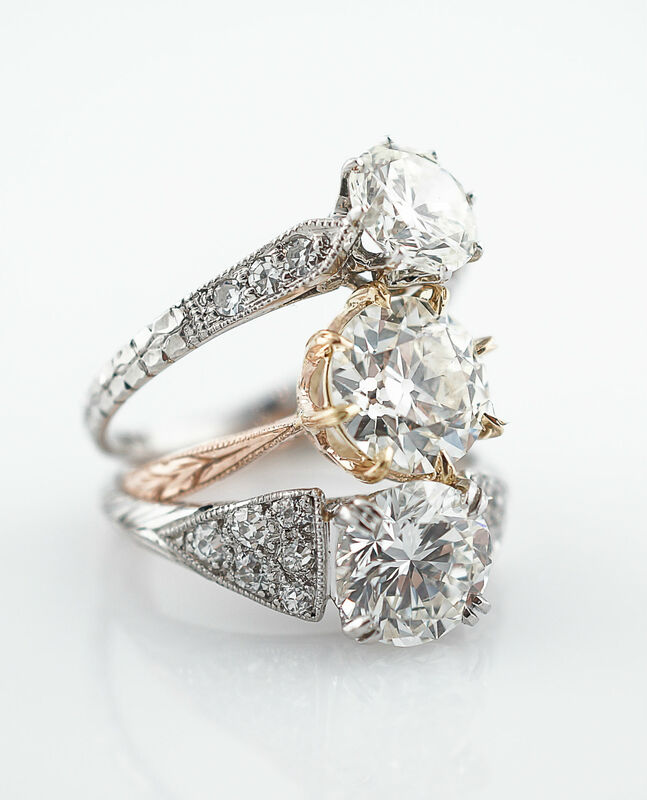 The center stone is a 2.18 carat old European cut diamond held by six prongs in a crown style basket. 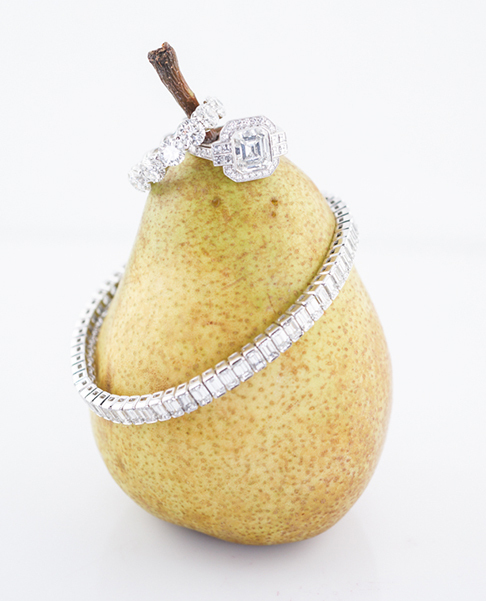 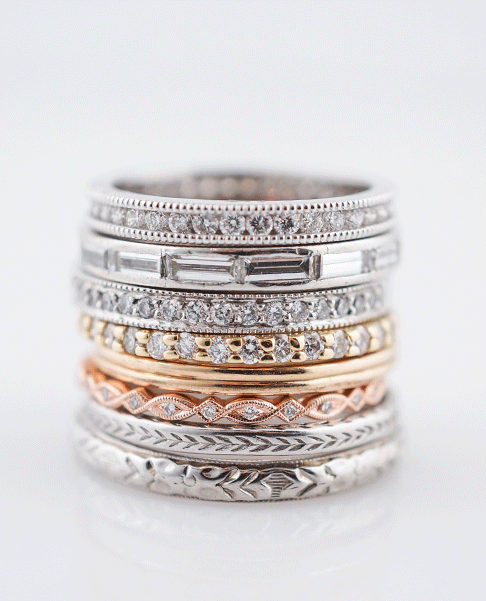 The band features stunning organic open metal work that gives the ring a unique look. 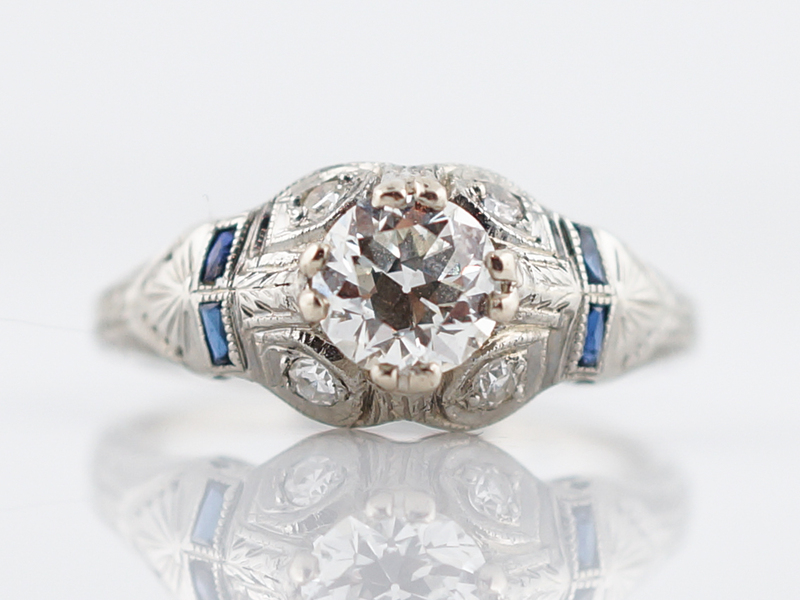 This one of a kind ring is a rare treasure!